Warehouse storage cabinets come in a wide variety of configurations. There are standard duty and heavy duty versions of warehouse storage cabinets. They can have drawers, bins, or shelves and be configured for parts, tools, equipment, safety, security, wardrobe, combination, facility maintenance, modular, and more. They come in diverse heights, widths, and depths. 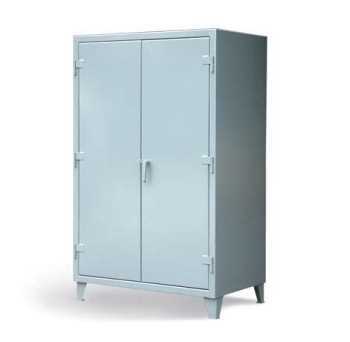 Warehouse storage cabinets can be sealed against the elements and have a wide range of security. There is little chance that there is not a warehouse storage cabinet that will fit your unique application. CSI provides warehouse storage cabinets for all industrial environments. We also offer commonly used industrial shop equipment like Lockers, Ladders, Carts, and other general shop equipment.